With Hurricane Harvey there have been a lot of questions about different types of coverages available to people to compensate them for their losses. 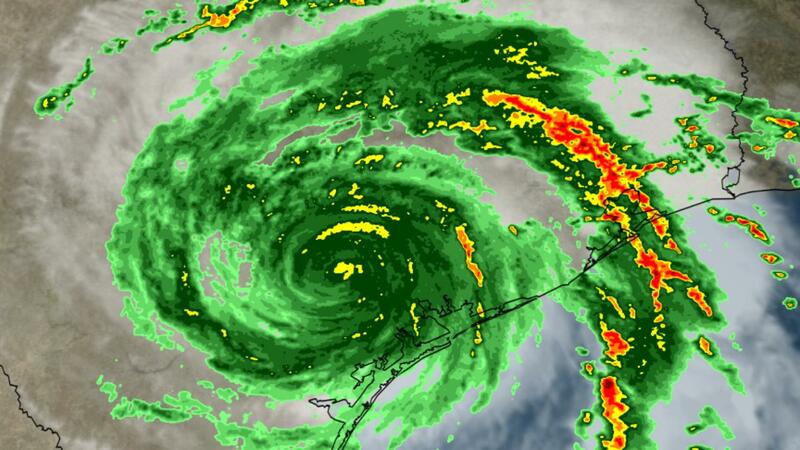 Starting with the 130mph winds in Rockport and Corpus Christi to the floods in Houston to who knows what in the Golden Triangle, your clients will be asking what coverages apply to them and how they can use them. Here is a quick summary of the laws that apply and resources available. There are two types of wind coverage that apply to Hurricane Harvey – regular homeowners or commercial coverage and coverage through the windstorm pool (“Texas Windstorm Insurance Association” or “TWIA”). TWIA is underwritten by private insurers but acts like a government entity. In Ike, TWIA was hit with fraud issues. Following Ike, the legislators reformed TWIA in 2011 and included a few more add-ons in 2015. The legislators stripped the consumer protection laws that otherwise applied to TWIA, including “unfair claim settlement practices” and other protections in Texas Insurance Code 541 and the “Prompt Payment of Claims” otherwise known as Texas Insurance Code 542. Neither apply to TWIA claims. That means no opportunity for treble damages. You can still win attorney’s fees in limited circumstances but there is a procedure you have to go through to dispute the amount of accepted coverage and disputed coverage claims. There are strict deadlines to contest these – for example, you only have 60 days to dispute the amount of a payment. Since partial payments and partial denials are common, TWIA loves to muddy the water and do that – then look to apply the harshest possible deadlines in the statute to limit protections. In 2015, if it was not clear before, the Legislature made it clear no “extra-contractual” remedies are available – no late payment penalty interest, treble damages, etc. Also, in order to get damages for mishandling a claim, they erected the “clear and convincing” standard. To dispute coverage amounts, you are forced to appraisal rather than the courts – you do not have an option – and you only have 60 days from when you were paid (even partially paid) to invoke it and must pay half of the appraisal costs. It is a very uneven statute that did what it accomplished – it drove lawyers away from helping clients hit the hardest in tropical storms – those in the coastal communities. Since the current TWIA law was already stripped down, there was no need to apply the gutting of the insurance code that occurred this past session so TWIA was explicitly exempted from the new law. (a) Except as provided by Subsection (c), if  an insurer that is liable for a claim under an insurance policy is not in compliance with this subchapter, the insurer is liable to pay the holder of the policy or the beneficiary making the claim under the policy, in addition to the amount of the claim, interest on the amount of the claim at the rate of 18 percent a year as damages, together with reasonable and necessary attorney’s fees. Nothing in this subsection prevents the award of prejudgment interest on the amount of the claim, as provided by law. (c) In an action to which Chapter 542A applies, if an insurer that is liable for a claim under an insurance policy is not in compliance with this subchapter, the insurer is liable to pay the holder of the policy, in addition to the amount of the claim, simple interest on the amount of the claim as damages each year at the rate determined on the date of judgment by adding five percent to the interest rate determined under Section 304.003, Finance Code, together with reasonable and necessary attorney’s fees. Nothing in this subsection prevents the award of prejudgment interest on the amount of the claim, as provided by law. Interest awarded under this subsection as damages accrues beginning on the date the claim was required to be paid. 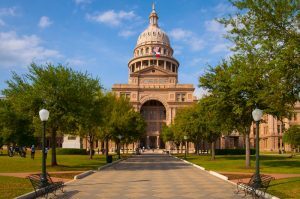 Much of the changes in the law is related to the changes to the lawsuit procedures under Texas Insurance Code 542A (a new section). But, as you can see, the changes above apply only to claims made by an insured to an insurer, in general the Texas Legislature decided to give insurance companies a 45% reduction in the late payment statute. This is big because the late payment statute works and has always worked. Because the interest rate is so high, it incentivized insurance companies to pay reasonable amounts promptly. Now, there is no incentive to do so. Pre-Suit Notice. The changes are substantial and need to be read carefully. How the notice is done will have large effects on the end result of the case. First, the pre-suit notice must give a statement of the acts or omissions giving rise to the claims in the lawsuit. Second, the notice must provide the calculation of economic damages (with a reasonable estimate of damages) and the reasonable and necessary amount of attorney’s fees incurred (with an attached billable time sheet in accordance with the Arthur Andersen factors). If you don’t give this pre-suit notice at least 61 days before filing suit, then the Court must dismiss the case without prejudice. If defendant can show that there’s a defect with your pre-suit notice (doesn’t correspond to the above requirements), then the Court must dismiss the case without prejudice. Pre-Suit Inspection. The statute allows for a pre-suit inspection done by the insurance company (if they ask for it within 30 days of receiving notice). If you don’t give them this inspection – then the case will be automatically abated. Calculation of Attorney’s Fees. The amount of attorney’s fees recoverable will be determined by the amount of actual damages awarded in judgment versus the amount claimed in the pre-suit notice. You are to divide the amount of actual damages awarded in judgment, by the amount of actual damages claimed in pre-suit. If the sum total of this is greater than or equal to 80%, then a claimant is entitled to their full attorney’s fees. If the sum total is less than 20%, then the claimant is not entitled to any attorney’s fees. If proper pre-suit notice was not ever given, and defendant pleads and proves the same, then the amount is limited and capped at the amount up until the date by which defendant pled the same. Joinder of Parties. The statute allows the insurance company to pick up liability for the adjuster. Therefore, for most cases against out of state insurance companies (e.g. State Farm, Allstate, Nationwide, etc…) will be in federal court not state court. Flood claims are usually written under the National Flood Insurance Plan (“NFIP”). Flood claims are underwriting by FEMA but oftentimes sold through private companies – called Write Your Own (“WYO”) policy. Because the monies come from the treasury, different rules apply. None of the consumer protection statutes in Texas apply, cases are in federal court with a bench trial, and attorney’s fees are difficult to recovery. Procedurally, you should watch the FEMA advisory for Proof of Loss. It is a jurisdictional requirement to submit a sworn POL within 60 days – cannot be waived despite what the adjuster says. It may be extended, but that can ONLY come from FEMA. Any extension of time to submit POL must be by FEMA and if given in an individual case, it must be in writing from FEMA. Failure to comply with the deadline will prevent you from seeking legal relief. Here is a link to step-by-step instructions from FEMA: https://www.fema.gov/nfip-file-your-claim. 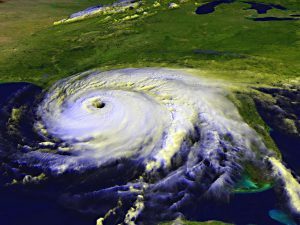 Was Your Hurricane Damage Claim Denied? Are Funds Available to Pay Texas Hurricane Insurance Claims?